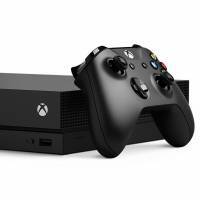 The Xbox One X plays all previously released Xbox One games, but it is also capable of running optimized titles, such as “Gears of War 4” and “Forza Motorsport 7” at an eye-popping native 4K resolution. Besides support HDR, the hardware runs on a powerful chip and an 8-core CPU that churns out an impressive six terafops — put simply that means a faster processor for crisper graphics. Not only do games like “Assassin’s Creed Origins” have better looking graphics, but lighting efects and textures are improved — that is, of course, if you have a 4K television. Prettier games, smoother graphics and better performance. Anyone wanting an Xbox One X in Japan, though, is going to have to hope there’s a cancelled pre-order sitting on a shelf somewhere. As of writing, it’s also sold out on Microsoft’s online shop, while re-sellers are asking for as much as double the original price. Since only a handful of games are currently capable of getting the most out of the Xbox One X, it might be best to be patient and wait until the rush has calmed down. To mark the release of “Pokemon Ultra Sun and Ultra Moon,” Nintendo is offering special Pokemon-themed New Nintendo 2DS LL handhelds. 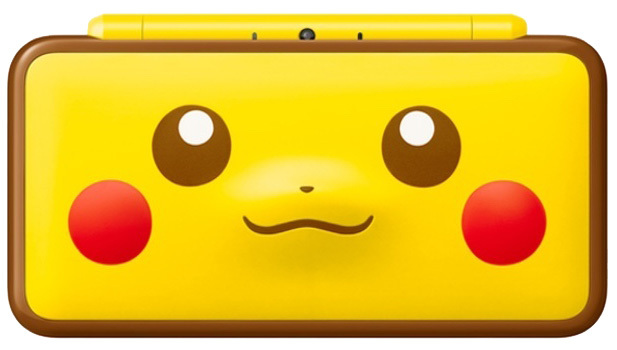 There is a Pokeball version (“Monster Ball” in Japanese) and a Pikachu one, both among the best-looking limited editions Nintendo has released. “Pokemon Ultra Sun and Ultra Moon” is the enhanced version of “Pokemon Sun and Moon,” which was released in November 2016. When Pokemon games are revamped they typically get new features and “Ultra Sun and Ultra Moon” not only has new characters and moves, but also a photo mode, the ability to warp to other worlds and a surfing mini game. Even if you’ve already have “Pokemon Sun and Moon,” there are enough new features in “Ultra Sun and Ultra Moon” to keep you entertained. 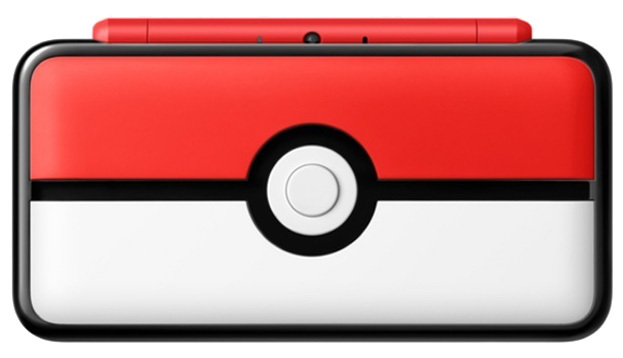 And if you don’t have a New Nintendo 2DS, then the new limited-edition versions could be just the ticket. “Pokemon Ultra Sun and Ultra Moon” is available for ¥5,378, and the New Nintendo 2DS Monster Ball Edition and Pikachu Edition are ¥18,639 each. Long live the PS Vita! In North America, the PS Vita seems dead and buried. But every month in Japan, a slew of new games continues to be released on the handheld. Not only that, but Sony keeps releasing new value pack versions of the PS Vita, such as the black and blue versions coming out this month. Since it was released in 2011, the PS Vita has had hardware revisions, but Nintendo has always dominated the dedicated portable device market, which in the past few years has seen more competition from smartphones. Going up against Nintendo is no easy feat, but the same is also true of anything that challenges iOS and Android apps. It’s actually remarkable that the PS Vita has fared so well in Japan and continues to sell. Perhaps this is why earlier this year Atsushi Morita, the head of Sony Computer Entertainment Japan Asia, said that Sony will keep focusing on the PS Vita. One of the big drivers for the handheld’s success was the release of a portable version of “Minecraft” that, being such a hit game with kids, became a system seller for the Sony. Sony has said it will focus on more games aimed at the PS Vita and on titles for younger players. That could keep the PS Vita alive even longer. The PS Vita value pack bundled with a 16GB PS Vita memory card is available in “aqua blue” or black for is ¥21,578. 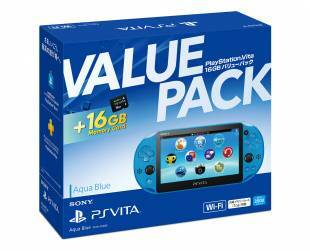 That’s only a ¥1,000 more than a PS Vita without the dedicated memory card.